Fast, friendly service from your local plumbing & gas professionals. There’s no job too big or too small for our group. We pride ourselves on going above and beyond for every customer with polite, professional service. This means showing up and completing all work on time, as well as giving our clients the most cost-effective solution for their needs. Call JML Plumbing and Gas today to enjoy a service like no other. 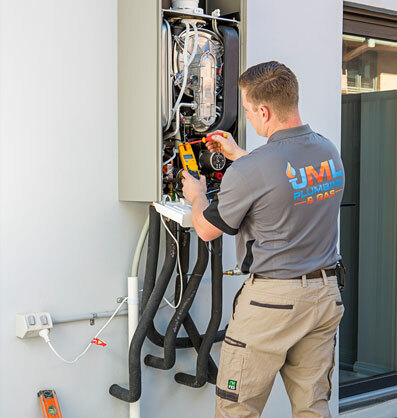 JML Plumbing and Gas enjoy a great reputation throughout Canberra and the surrounding regions as one of the most professional plumbing services around. We take this reputation seriously and work hard to ensure we provide our clients with the best customer service, advice and solutions. Our clients trust us to bring our knowledge and experience to deliver the best results, and this is a responsibility we take very seriously. All our team continually undergo professional learning to keep abreast of the latest tools and techniques in Australia and beyond. Whether you are a private home owner or a public company, you can always expect the extra-mile of service for every project with our team.